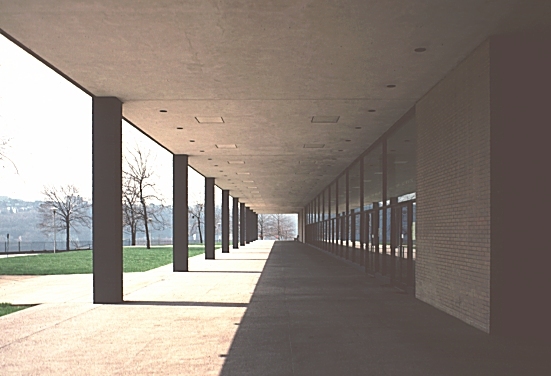 Images of Mellon Hall of Science, Duquesne University, Pittsburgh, by Mies van der Rohe, 1968. Digital Imaging Project: Art historical images of European and North American architecture and sculpture from classical Greek to Post-modern. Scanned from slides taken on site by Mary Ann Sullivan, Bluffton College. 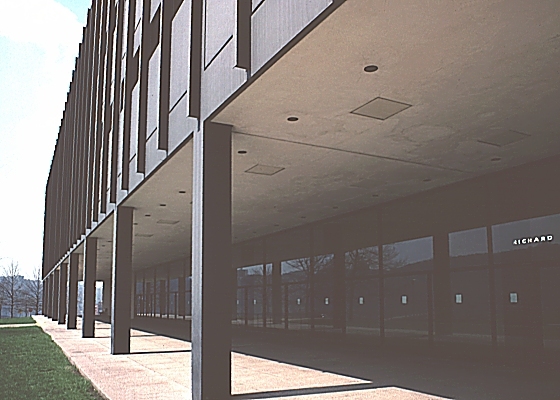 This four-story building, with Mies's signature I-beams, houses labs and two large lecture halls. 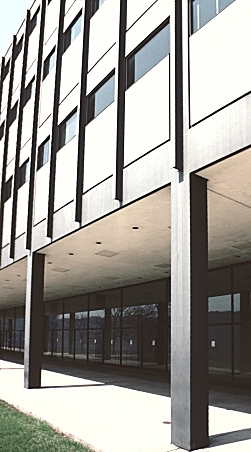 Unlike the impressive raised entrance and steps of Crown Hall, the entrance is unassuming. 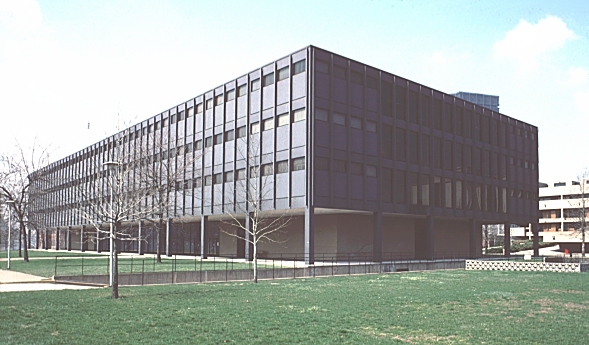 Other buildings on this site by Mies include: Barcelona Pavilion, Dirksen Building, Illinois Institute of Technology buildings (including Crown Hall and the Chapel), One Illinois Center, School of Social Service Administration Building (University of Chicago), and the Seagram Building.